At RSCM, we strive to construct a diversified portfolio, much like one would in traditional equities markets. 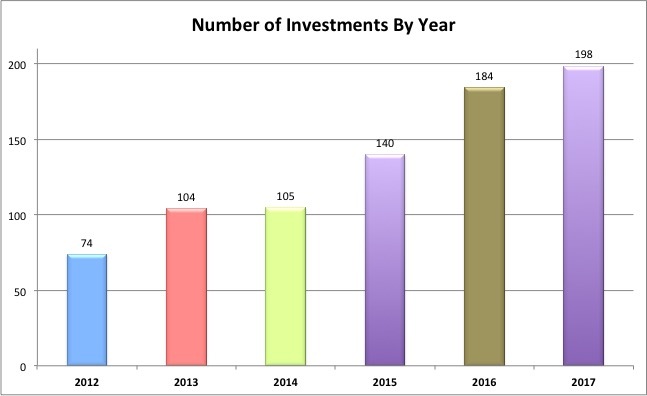 We invest in many companies at a consistent rate. We screen for a set of characteristics that defines an asset class we believe to have high returns. We try to spread out risk along a number of dimensions. The first step in building a diversified portfolio is taking a sufficient number of positions given the risk associated with each investment. Our modeling shows a portfolio of pre-seed technology startups should number in the hundreds. So we've been ramping up our capacity to make hundreds of investments per year. In addition to being diversified across many startups, we want to make sure we aren't too concentrated in any particular type of startup. A great example is geography. 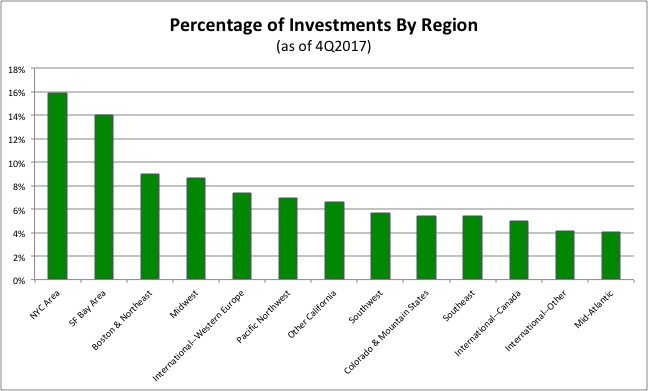 While the San Francisco Bay and New York Metropolitan areas are major startup hubs, we make sure our portfolio is spread across the US and, to some extent, across the world. Beyond diversification, we also prize survival. One of our core beliefs is that pre-seed startups are primarily about option value, not enterprise value. The value of an option is proportional to how long it lasts. Essentially, the longer a startup is around, the more opportunity there is for good things to happen to it. Selecting for survivability across the entire portfolio will increase the realized value from those options on average. With the general trend of greater tech startup capital efficiency and the ability to get farther faster, it's actually possible to select for initial revenue and low burn at the seed stage. So these factors weigh pretty heavily in our scorecard for investment opportunities. We track survivability over time. 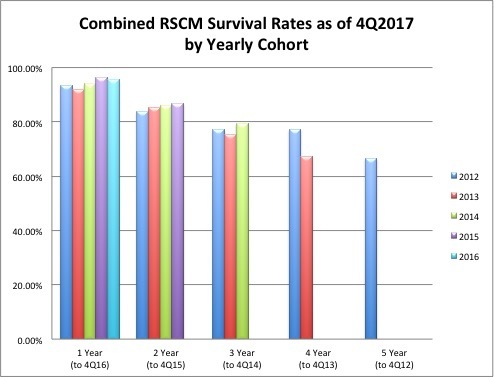 The graph below shows the 1 through 5 year survival rates for each of our yearly portfolio investment cohorts (that are old enough for that survival time to make sense).